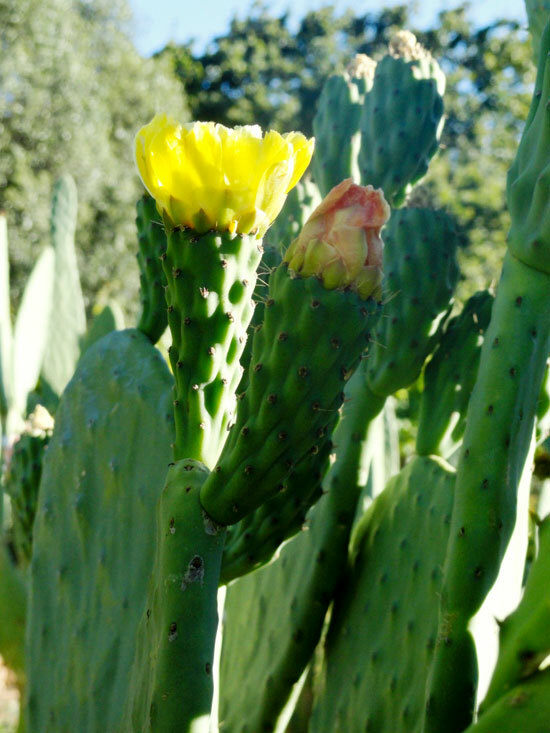 The prickly pear maze is one of the most photographed features of the garden. 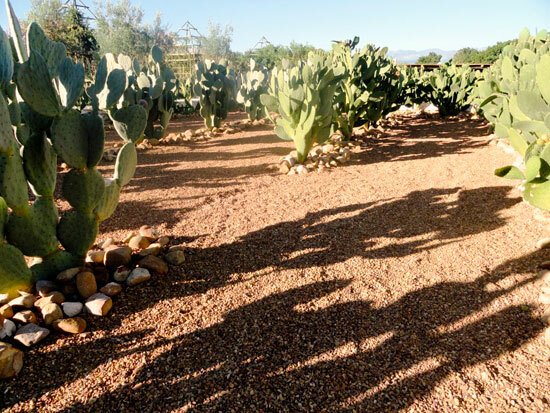 Strikingly simple, the cactus plants stand like sculptures between stones. 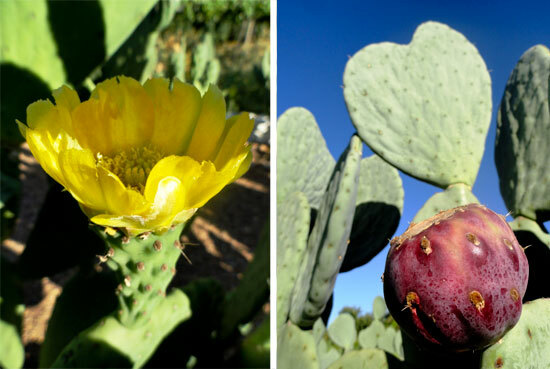 Planted as single leaves just over 2 years ago, the prickly pears (or turksvye) have grown above head height, and are now producing their first exotic flowers, followed by delicious fruits. We have six different selections, each ripening with fruit varying in colour from white, yellow, red to purple. 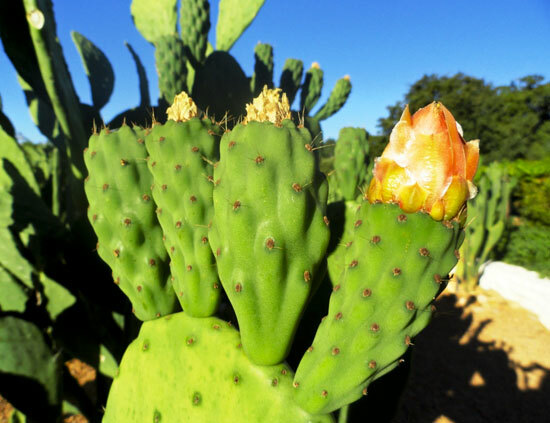 The outer skins of the succulent fruits are covered in fine, almost invisible thorns. 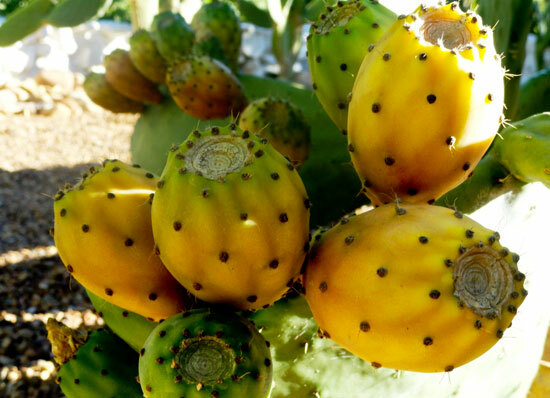 When ripe, we carefully cut and peel the fruit, careful not to touch them with bare hands, and serve slices of the sweet flesh in Babel’s seasonal red salad. Beautiful pictures and the fruit is devine!